The high output segment of the PS-RPS Series are compact, industrial/military power supplies that are enclosed switchers with both parallel and power factor correction (PFC) functions. 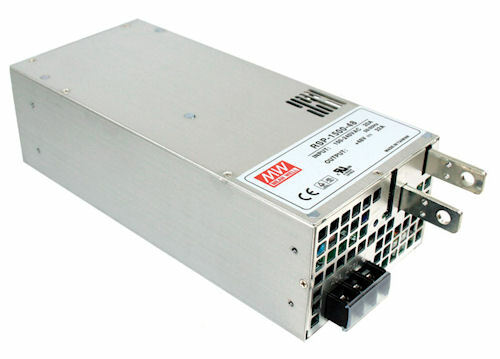 All feature extremely high power density and can provide full output power in ambient temperatures up to up to 50°C (122ºF). 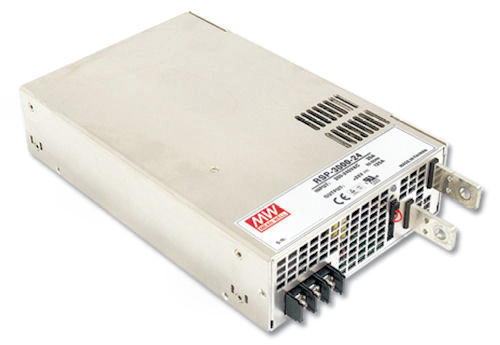 Most integrate an innovative trim function that allows output voltage to be adjusted from roughly 20~40% up to 110-115% % of the supplies rated voltage. Typical built-in functions include remote sense, remote ON/OFF control, auxiliary outputs, and fan or alarm signal output/s. All series comply with UL, CUL, TUV, CB and CE regulations that ensure user safety. Applications include front-end power systems, factory automation, industrial instrumentation, moving signs, telecom/datacom and other signals equipment, laser-carving machines, IC testing equipment, LCD panel burn-in systems, battery charging and a wide variety of other industrial and military applications. 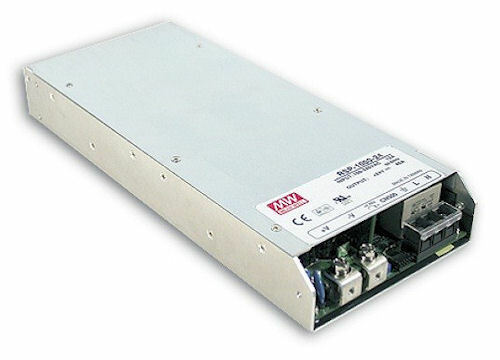 With "universal" 88~264VAC input, these self-switching supplies may be used world-wide.